Medium and big size dog harness that has been designed to better guide your dog and prevent them to pull. The back handle gives a better security and help you control your dog in potential hazard situations. This patented harness is the perfect mix of originality, quality and ergonomics. The adjustable girth aloud a perfect fit for any dog shape, such as pugs and French bulldogs. The harness results comfortable and easy to wear, thanks to its unique design and high quality material. Leash for medium and big size dogs with 2 padded handles, to better control your dog in comfort and safety. Available in two different lengths. We will be happy to welcome you to our booth 9-426 to enjoy the latest products made by Tre Ponti. 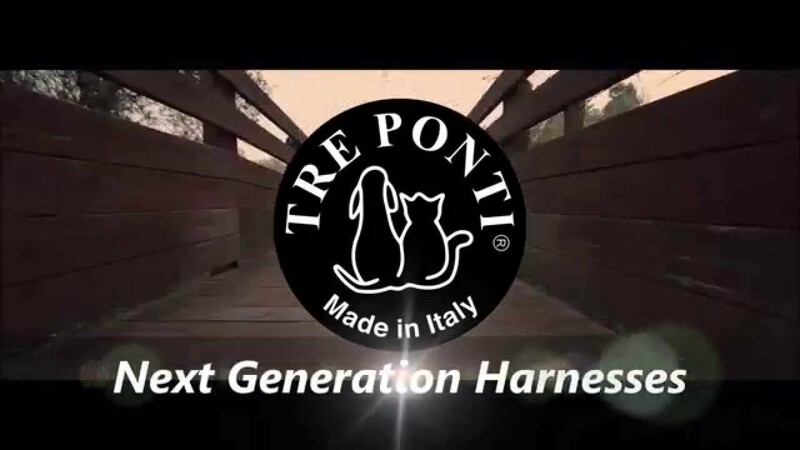 Come and explore, touch and feel the high quality and design our unique harnesses: each one is a blend of wise Italian craftsWOmanship, originality and passion for our hairy friends!